If you ever have any additional questions, please don’t hesitate to contact us, and we will be more than happy to answer and address any of your concerns. Please see below if there are any questions that you may have and we may clear up for you. What are the different ways oil can be used to heat the home? How does it all work? There are two different systems that can be used to help heat the home. Furnaces and boilers are two different mechanisms that help heat your home using oil. The way the oil is heated is what makes the difference in how you stay warm on cold nights. Older furnaces (also known as atmospheric furnaces) are less efficient than newer models. First, exhaust air has to be very hot for it to work, and gases go up through chimneys. These older model furnaces are not very efficient when it comes to energy, because to maintain the high temperatures to vent the gases, it requires more fuel energy. The newer, more efficient furnaces have less heat emerging through chimneys. The new furnaces cool gases causing water vapor to condense. Instead of exhaust traveling up through a chimney, it travels through a plastic pipe in a wall. There is no hot exhaust being vented. Less oil is used in the end. Boilers, use oil to warm up water. As the water heats up, it travels throughout the house warming up baseboards and radiators. When the water cools, it travels back to the boiler to heat up again. How often do you order oil for your home? How much does it cost you? Figuring out how much oil you use per season can help you determine what service is best for you when it’s time to re-up. You don’t want to wait until the last minute to have your oil topped off. Whether you’re paying for home heating oil as you go along, or you buy it in bulk, having it delivered is a service that saves you a lot of time and headache, and assists you in planning ahead. Traveling back and forth with barrels is a strain and an extra errand that you can easily avoid. Scheduling automatic delivery from your home is one less thing you have to worry about. Keeping your home heated is necessary for the colder months ahead. Once you’ve scheduled it, you will be guaranteed to have a home that’s consistently heated and you never have to think about it. What is your minimum delivery of discount COD oil for Long Island? Very few companies in Nassau and Suffolk Counties offer cash on delivery for heating oil and premium fuel. Our home delivery minimum is 25 gallons, and for our commercial clients, the minimum is 100 gallons. When you place your order, we will notify you of the date it should be expected. Please be aware that our delivery standard is based on our projected winter delivery schedule. The delivery schedule may change depending on weather, our vehicles, and any other incidents that we may not be able to control. On average, all of our deliveries will be completed between 24 to 72 hours once the order is processed. If you want to keep up with your order and the delivery date, log into your account and click on order history for any changes or updates. Can I get an emergency delivery? Yes you are able to. Depending on your location, we will be able to accommodate an emergency order. If you are very low on oil, or completely out, log onto our website and select “emergency delivery.” Once you do, you’ll see which areas we service, and you can place your oil from there. If there’s a price change on your website, will that affect my order? Absolutely not. We will always honor what was agreed upon with your order. Do I need to be home when my order is made? More often than not, you do not need to be home. If your fuel tank is accessible without you being home, the driver is able to fill your tank. Please keep in mind that some towns do require an inspection by the dealer to confirm that your tank is in proper working order. If that is the case in your particular location, your dealer will contact you and will arrange your first delivery inspection at no cost to you. For the inspection, we advise that you are home. Also, if your heating tanks are indoors, you will need to be home for your delivery as well. What if my tank will not take all of the gallons I ordered? No problem, we will never charge you for anything you didn’t use. If you ordered a certain amount, and used less, we will only charge your credit card for what was actually used. 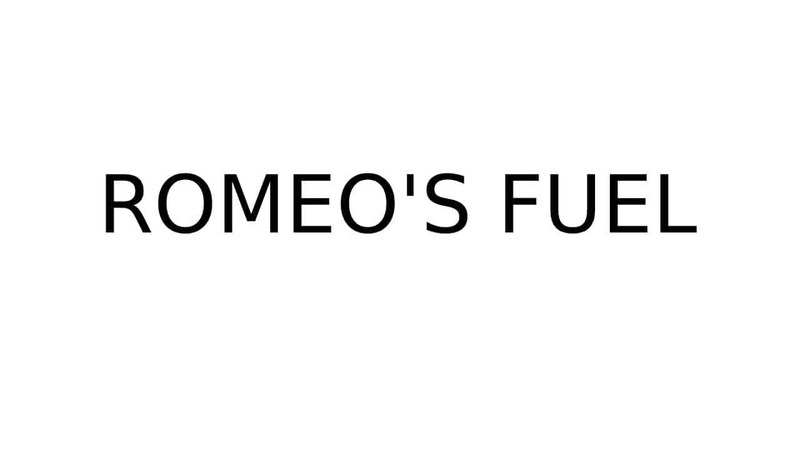 Here, at Romeo’s fuel, we pride ourselves in our prompt, and efficient service. We always strive to achieve same day and next day service. We want to fulfill your orders as quickly as possible so that there is never a lapse in your heating needs. When you want fast, efficient service and expertise regarding your home heating, Romeo’s fuel is your best option. Stay warm with Romeo’s!